Charles University is the oldest and largest university in the Czech Republic. Founded in 1348, it was the first university in Central Europe. In 1953 three faculties were created out of the single Prague Medical Faculty. One of these was the Faculty of Children’s Medicine. Teaching took place in the Motol and Pod Petřín university hospitals. In 1990 the Faculty of Children’s Medicine changed its name to the Second Medical Faculty. Prague was the sixth most visited city in Europe in 2011. Prague’s historic city centre is a UNESCO World Heritage site. Prague is a home away from home for UK students, with Tesco and Marks & Spencer stores within a few minutes’ walk of the university. Prague, for a while, was capital of the Holy Roman Empire. 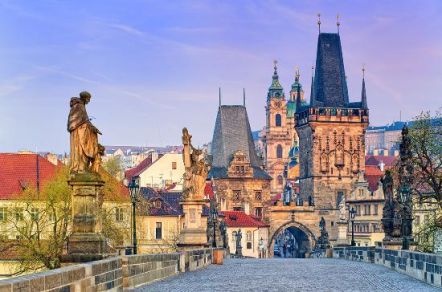 Prague is frequently referred to as the ‘Paris of Eastern Europe’. Over 42,000 thousand students study here in more than 270 accredited study programs with almost 600 departments.The faculty is led by the Dean, who is chosen by the faculty academic senate and named by the university rector for a four-year period. At present, the Dean is Professor MUDr. Vladimír Komárek, CSc. Prague is the capital city of the Czech Republic and is a modern European metropolis full of energy, music and art. Its stunning architecture and rich cultural and historical heritage draws millions of tourists every year. It has a highly developed infrastructure and a large variety of attractions to cater to their needs. In addition to Prague’s picturesque sights, visitors will feel quite at home as it is easy to get around with an affordable and efficient public transport system. It has a large student population because of the many educational institutions located in Prague. At the Second Faculty of Medicine, Charles University, there are four large and active student groups that meet regularly and organise events and activities; Motolák, IFMSA (International Federation of Medical Students’ Associations, The Association of Physiotherapy Students, AIMS (The Association of International Medical Students). There are three separate papers in the entrance exam; Chemistry, Biology and either Physics or Maths. The pass mark is an overall mark of 80%. We run various preparation courses throughout the year, please see our application pack for further details. Complete our EMUCAS application form and return with supporting documents listed on the front page of the application.